Mildred Hite, 99, of Aberdeen, passed away Tuesday, July 10, 2018, at ManorCare Health Services in Aberdeen. Her funeral service will be 11:00 a.m., Monday, July 16, 2018, at Schriver’s Memorial Mortuary and Crematory, 414 5th Avenue NW, Aberdeen, with Father Mark Lichter officiating. Interment will take place at Sacred Heart Catholic Cemetery in Aberdeen. A luncheon and time of fellowship will immediately follow the interment at Schriver’s Memorial Fellowship Center. Visitation at the mortuary will be one hour prior to the service on Monday. Friends may sign Mildred’s online guestbook at www.schriversmemorial.com. Mildred Sauer was born September 4, 1918, in Turton, SD to Oscar and Mary (Beard) Sauer. She lived at and attended convent school during the week until the 8th grade. Mildred attended public school until the time of her father’s death. She and her family then moved to Redfield, SD, where she attended school. Mildred was united in marriage to the love of her life, Elwin O. Hite, at Redfield on January 6, 1940. The couple made Aberdeen their home. Their union was blessed with four children: Ronald, Clarence, Eunice and Sharon. While Elwin farmed, Mildred kept busy as a mother and homemaker, which she dearly loved. Mildred and Elwin shared 65 years of marriage before he passed away on January 28, 2005. She continued to reside in Aberdeen until the time of her death. 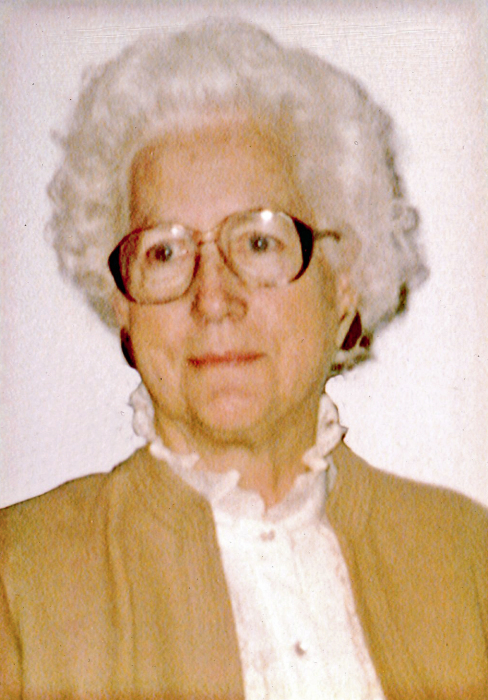 Mildred was a devoted member of Sacred Heart Catholic Church in Aberdeen. In her spare time she enjoyed dancing and camping. Mildred especially loved playing cards with her family and friends. Blessed to have shared in Mildred’s life are her children: Clarence E. Hite of Aberdeen, Eunice (Richard) Smith of Bismarck, ND and Sharon Tullis of Aberdeen; five grandchildren; six great-grandchildren; and one sister, Lucille Bullock of Portland, OR. Mildred was preceded in death by her husband, Elwin; one son, Ronald; her parents; two brothers, Francis (Melba) and Melvin; and one sister, Pauline.